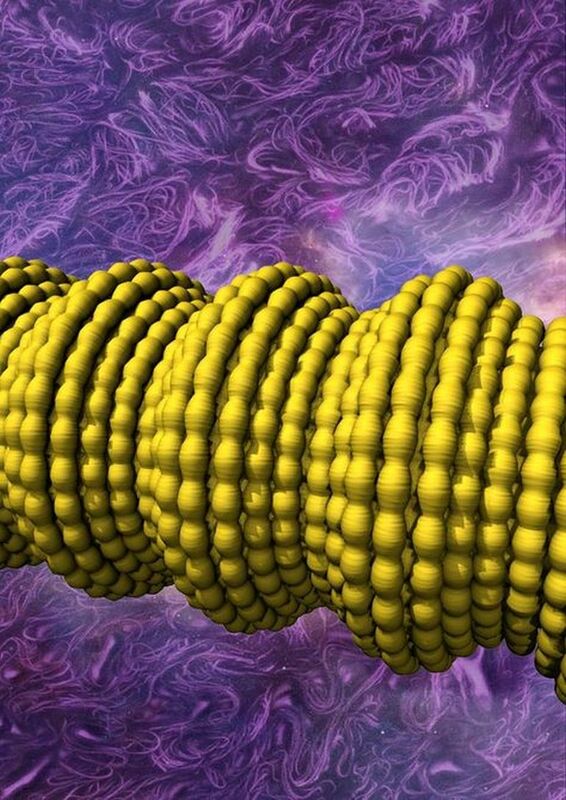 Scientists, working at the University of Texas at Dallas, have developed a special type of conducting fiber, whose electrical conductivity increases dramatically when stretched. Made from tiny sheets of carbon nanotubes (CNT), wound around a cylindrical rubber core, the ultra-elastic fiber can be stretched to around 14 times its original length, without losing any of its energy. The researchers believe, it could one day be used to construct shape-shifting aircraft, elasticated electronic circuits, stretchy exoskeleton and robots, as well as artificial muscles and capacitors that can store considerable amounts of power, while stretched. 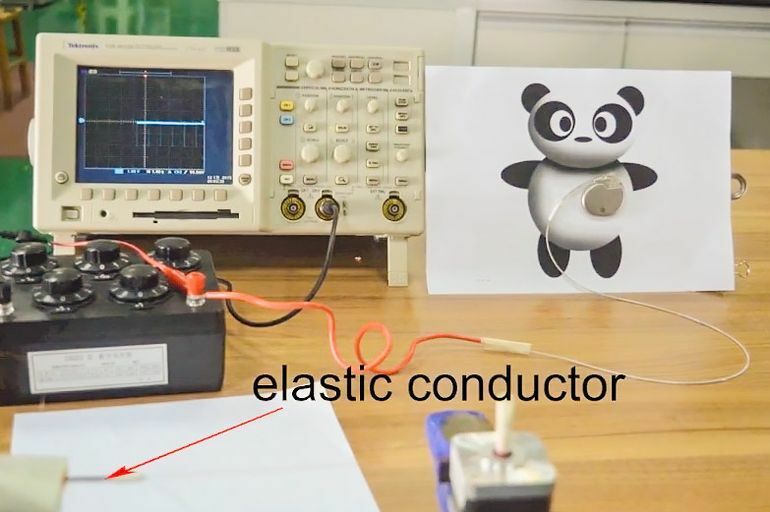 Similar research, in the past, have resulted in conducting wires that cannot be pulled beyond five times their initial length without inducing a significant rise in the electrical resistance. The new research, published recently in the Science journal, talks about an entirely new kind of fiber, containing carbon nanotube sheets wrapped around a stretched styrene-(ethylene-butylene)-styrene (SEBS) copolymer core, whose resistance increases by only 5-percent, when stretched to about 10-times its former length. In fact, the researchers claim that the electrical conductivity of this newly-developed wire rises an impressive 200-fold, when stretched. Think of the buckling that occurs when an accordion is compressed, which makes the inelastic material of the accordion stretchable. We make the inelastic carbon nanotube sheaths of our sheath-core fibers super stretchable by modulating large buckles with small buckles, so that the elongation of both buckle types can contribute to elasticity. 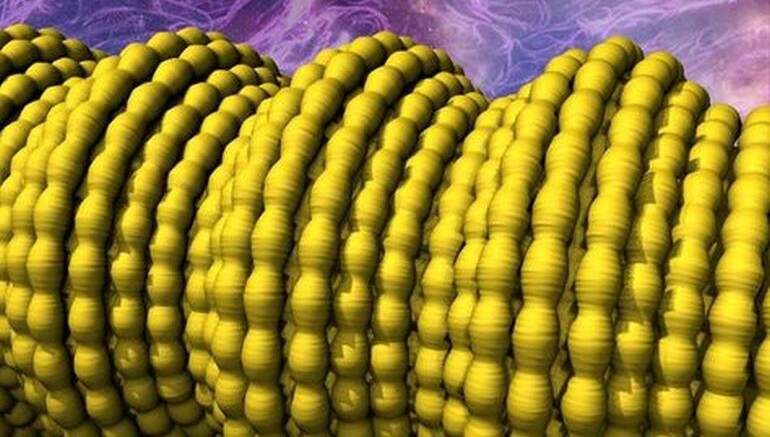 These amazing fibers maintain the same electrical resistance, even when stretched by giant amounts, because electrons can travel over such a hierarchically buckled sheath as easily as they can traverse a straight sheath. Shrinking the fiber’s circumference during fiber stretch causes this second type of reversible hierarchical buckling around its circumference, even as the buckling in the fiber direction temporarily disappears. 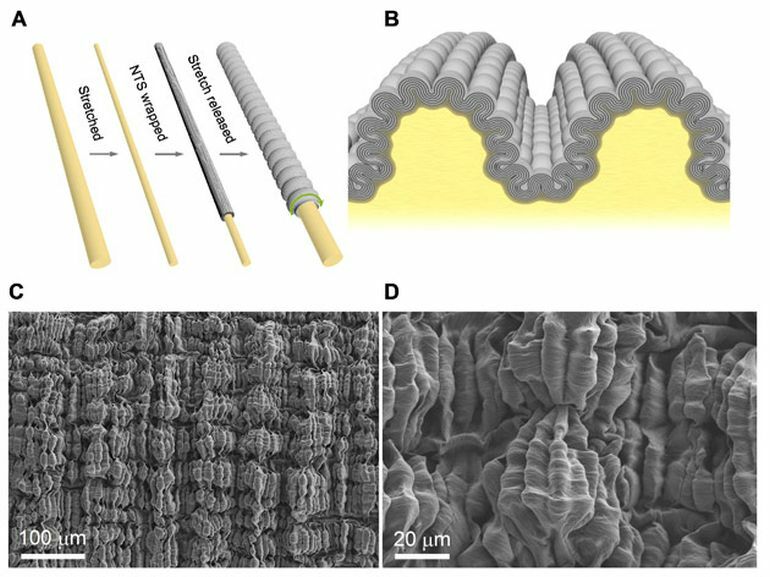 This novel combination of buckling in two dimensions avoids misalignment of nanotube and rubber core directions, enabling the electrical resistance of the sheath-core fiber to be insensitive to stretch. No presently available material-based strain sensor can operate over nearly as large a strain range. This technology could be well-suited for rapid commercialization. The rubber cores used for these sheath-core fibers are inexpensive and readily available. The only exotic component is the carbon nanotube aerogel sheet used for the fiber sheath.